Like most people, I am driven to purchase by the way things look or smell. This is exactly why a trip to Lush is always dangerous for me. 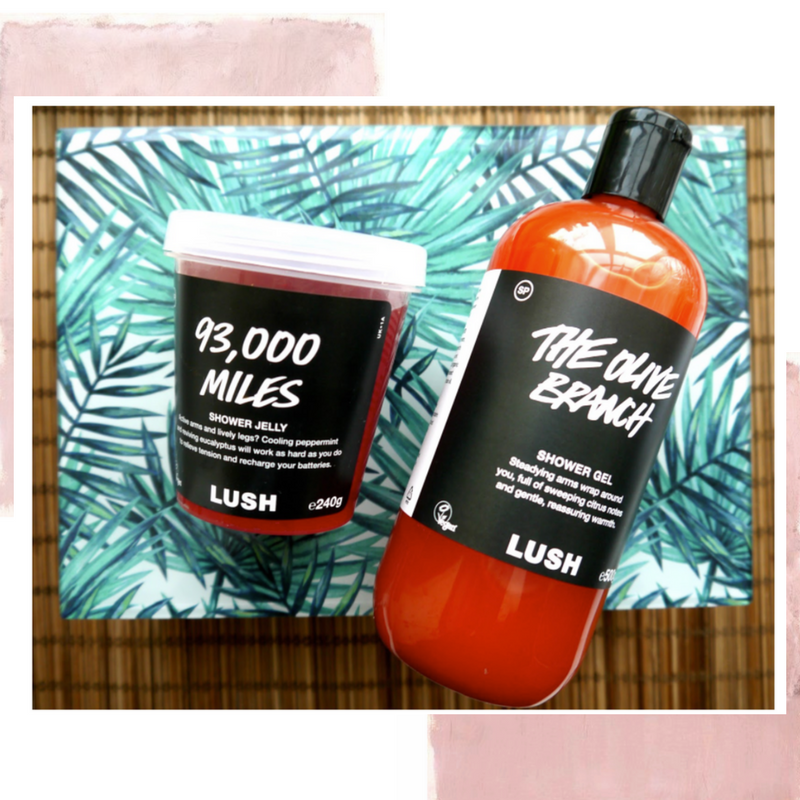 Anything from Lush is always a winner when it comes to gift buying and that is why those exact words: 'anything from Lush' is always on my Christmas and Birthday wishlist. It rarely disappoints. I gave up on the gym a few weeks ago, after all it is Christmas and I do intend to pick it back up again in the new year. Lol. When that time comes, I have a little weapon in my shower arsenal to assist with the vile burn that sneaks up on you 2 days after leg day. 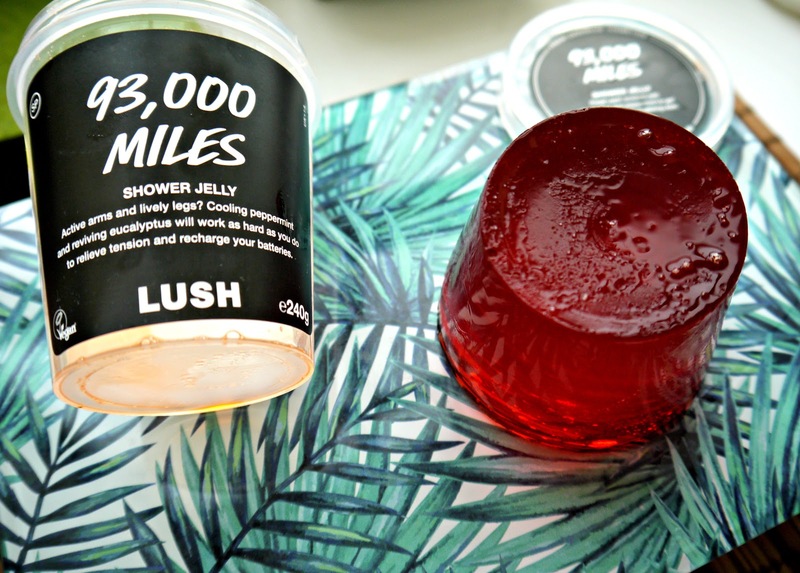 93,000 miles is a shower jelly, now these slippery buggers are a little tricky to use but once you get a grip on them, they are so so lovely at the same time. This one is especially treaty it contains eucalyptus and mint as well as peppermint and cinnamon leaf oils. It smells divine and really helps out with aches and pains. It's super spicy and when kept in the fridge, it feels so zingy when applied in a steamy hot shower - you know the kind where your skin turns pink. 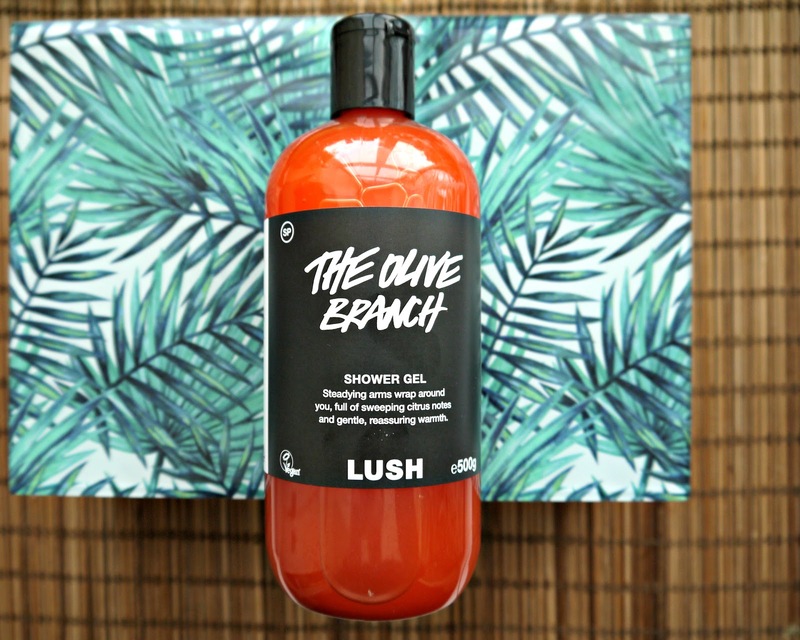 I'm pretty sure Lush have reformulated the iconic Olive Branch as it no longer separates, requiring a good shake. Anyway, it remains a firm favourite of mine and is the only shower gel I want to use. Ever. Pity it's pretty spenny but so so worth it. Packed full of citrus notes, Lush say that: "Israeli and Palestinian farmers from the Sindyanna women's co-operative in Galilee work together to hand harvest the olives which a cold pressed into a fair trade oil." - I'd say that makes it worth the pennies and the pounds right? Featuring vine leaf and mandarin as soon as Olive Branch hits your skin it is a powerful and evocative journey through the senses.